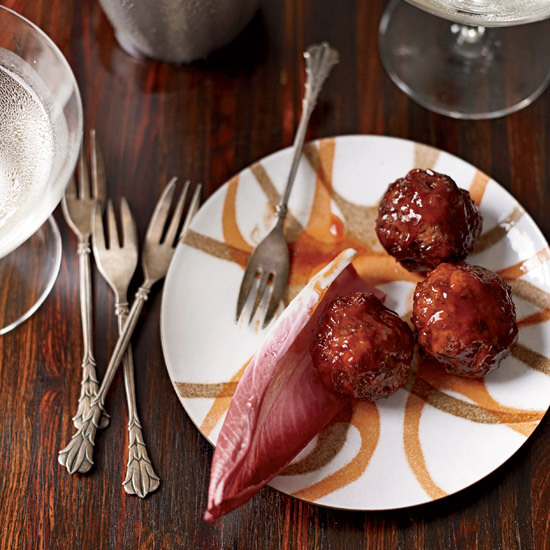 From juicy cocktail meatballs to a festive Champagne punch, here are great holiday cocktail party recipes. Leo Robitschek of The Nomad Bar in NYC uses fresh apple cider and maple syrup in his perfect cold-weather cocktail. 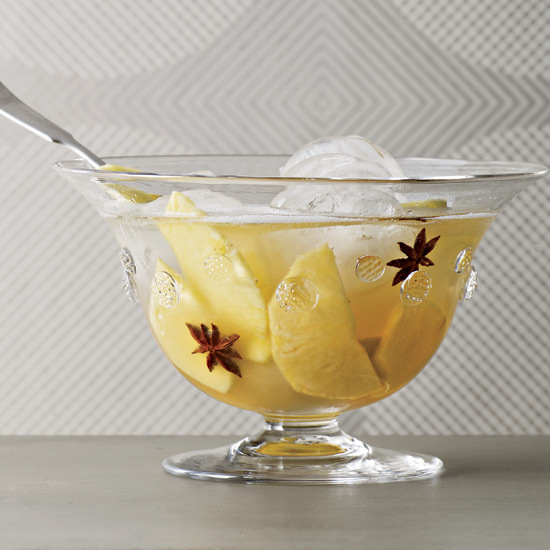 Leo Robitschek of The NoMad Bar in NYC makes his perfect holiday punch with warming flavors of pear, cinnamon and citrus. 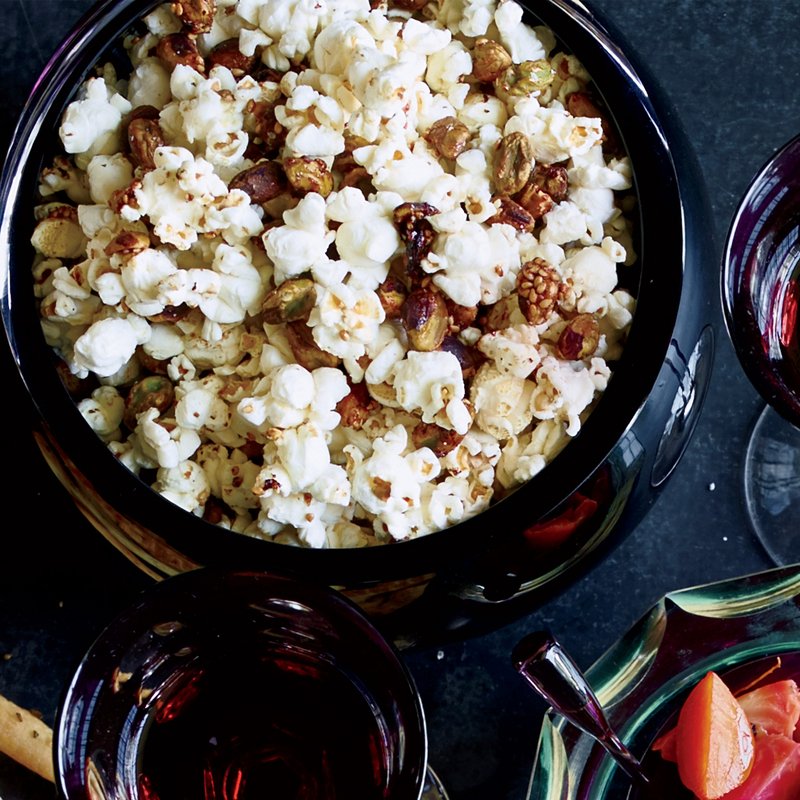 Mixing popcorn with glazed pistachios creates a sweet-salty snack that's fantastic with cocktails. 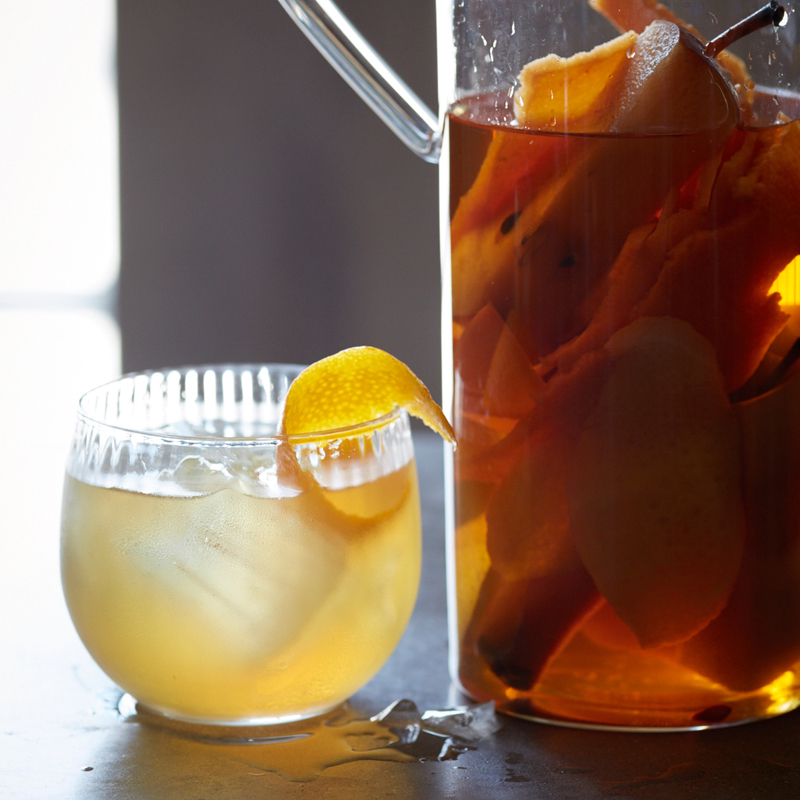 Don’t throw away fruit scraps like juiced citrus and the cores of apples and pears; instead, use them to make this aromatic infused bourbon. 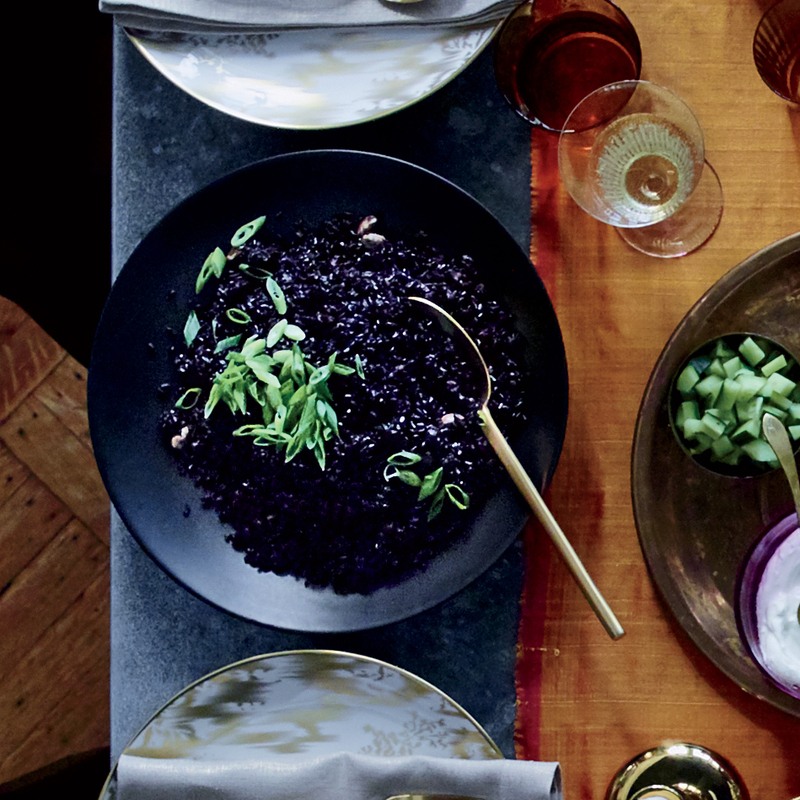 Designer and blogger Athena Calderone’s signature aesthetic comes through in this striking appetizer. Roasting the grapes concentrates and deepens their sweetness. 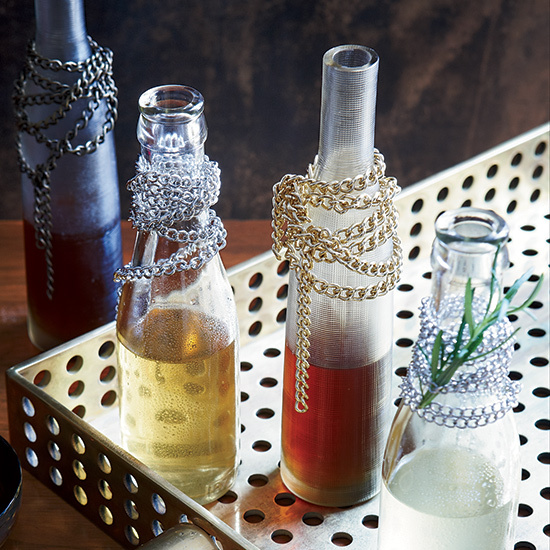 Instead of making cocktails one at a time, borrow a mixology trend: Premix them in batches and serve in small bottles. 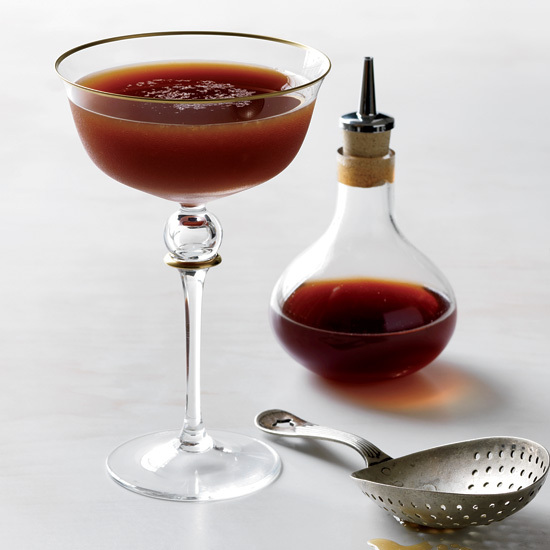 This spiced, wintery cocktail is made with rye whiskey, Punt e Mes vermouth, allspice dram and root-beer liqueur. According to Southern tradition, the hostess at a ladies’ luncheon should serve little meatballs in a chafing dish or on a platter with toothpicks as a satisfying snack for any men in attendance. 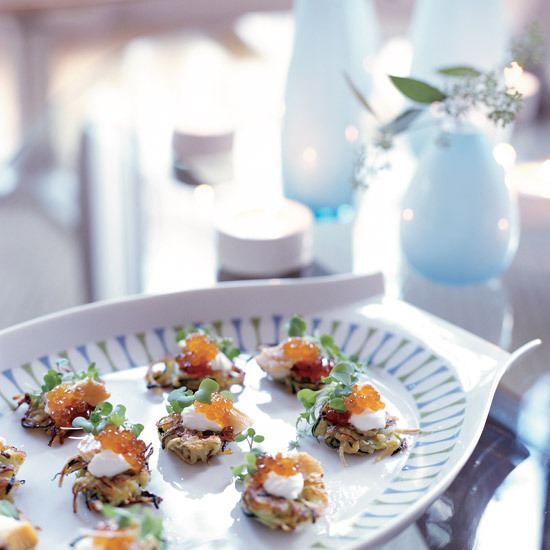 Thomas Keller's salmon cornets (tuiles shaped into tiny cones and topped with crème fraîche and fresh salmon) are a famous kickoff to his luxe and whimsical meals. Shaping the tuiles into cones is tricky and involves working very quickly with a cornet mold. Instead, leave the tuiles flat, like crackers. 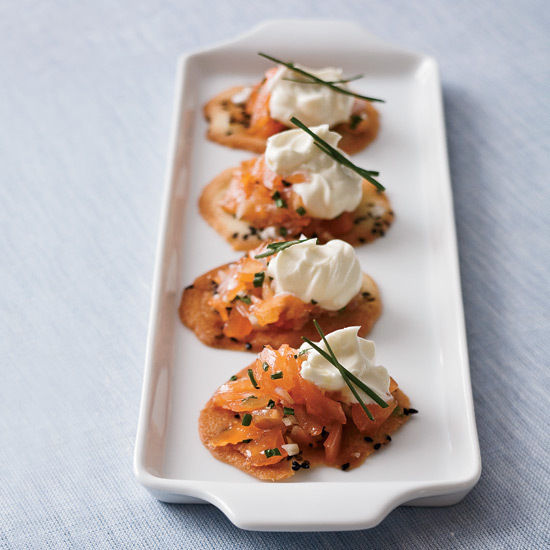 Top them with store-bought smoked salmon and crème fraîche. Persimmons are typically reddish-orange in color. Two varieties are commonly sold in the U.S.: round fuyu, which can be eaten right away, and heart-shaped hachiya, which require ripening or cooking (when underripe, they are extremely astringent). 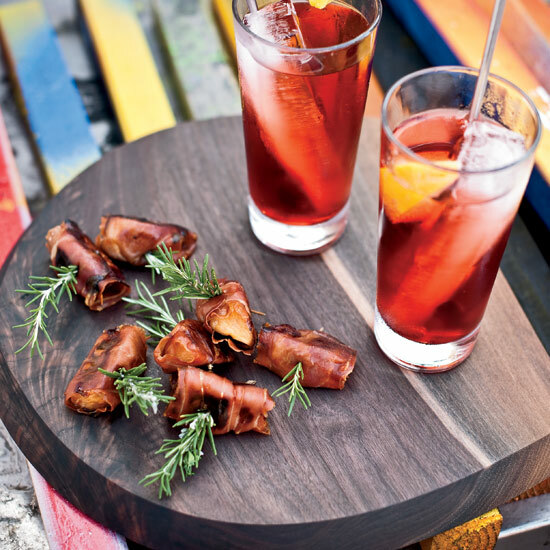 Jason Travi wraps prosciutto around persimmon wedges and roasts them until the meat crisps and the fruit turns tender and sweet. 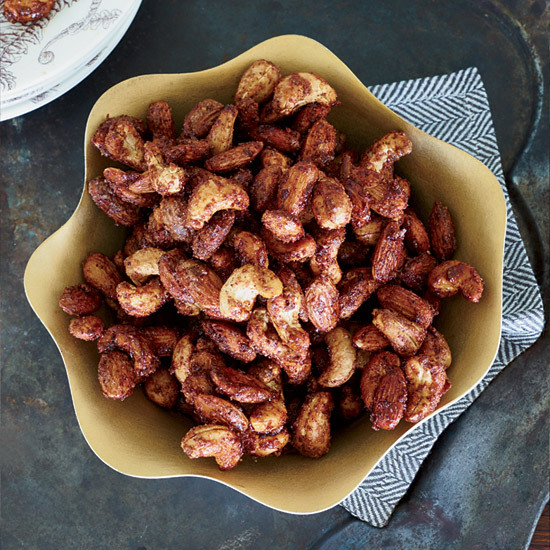 Coated with cinnamon and chile powder, these spiced nuts are addictive with cocktails. The egg white in the coating makes them especially crispy. 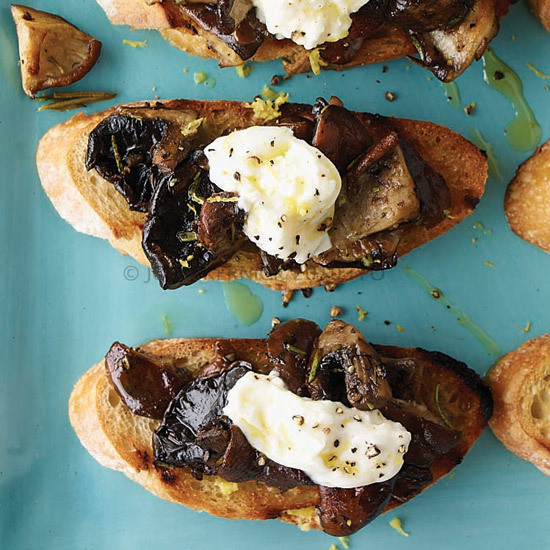 Suggested wine pairing: These creamy mushroom toasts pair well with white or red wine. For white, pour an unoaked Chardonnay to cut through the richness of the cheese; for red, try an earthy Pinot Noir. 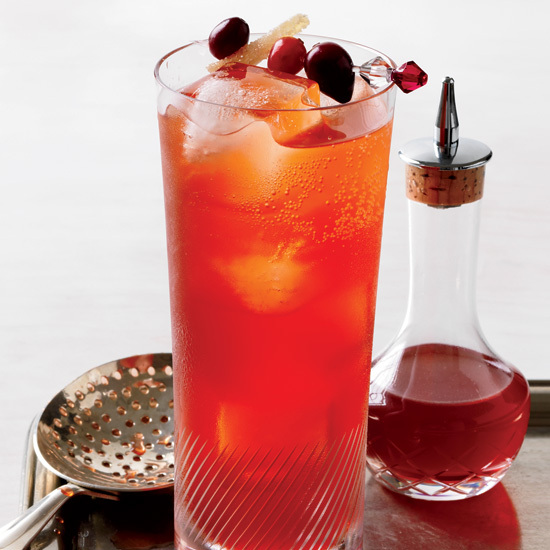 This festive cocktail is made with homemade Cranberry-Anise bitters. 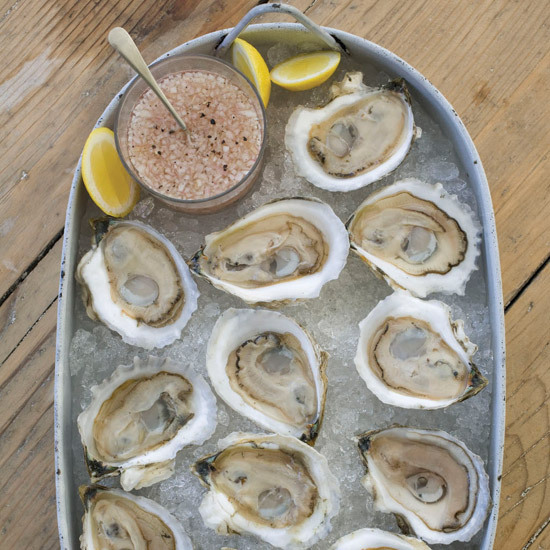 Great oysters are delicious "naked," as Island Creek founder Skip Bennett says, but sometimes chef Jeremy Sewall dresses them up with a mignonette (vinegar sauce) like this one, made with sparkling rosé. 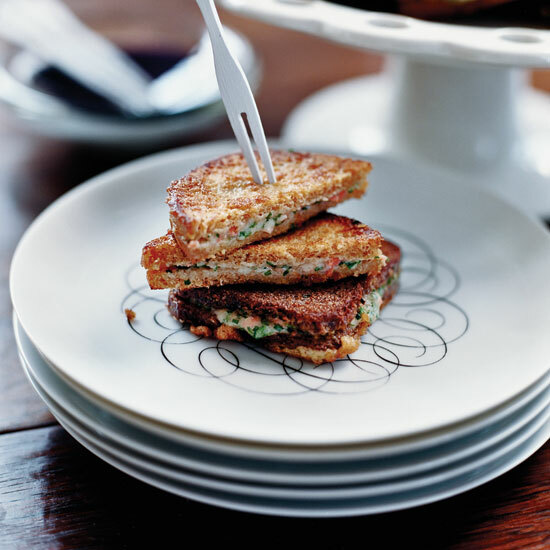 For a more luxe version of this simple sandwich, replace the chopped capers with 2 teaspoons of white truffle oil. 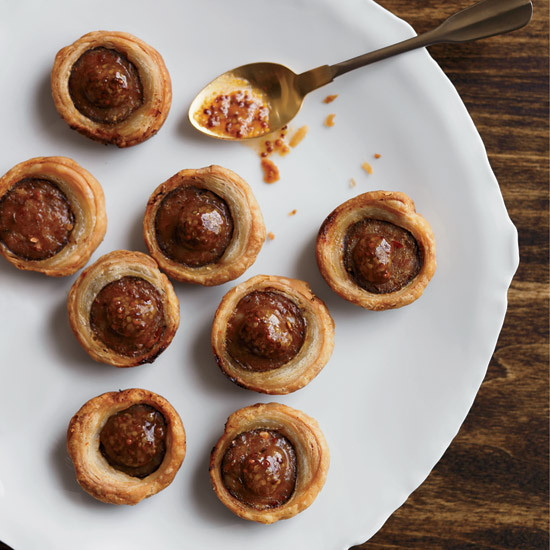 This high-brow take on pigs in a blanket swaps spicy andouille sausage for the hot dogs and adds sweet mustard chutney as a condiment. 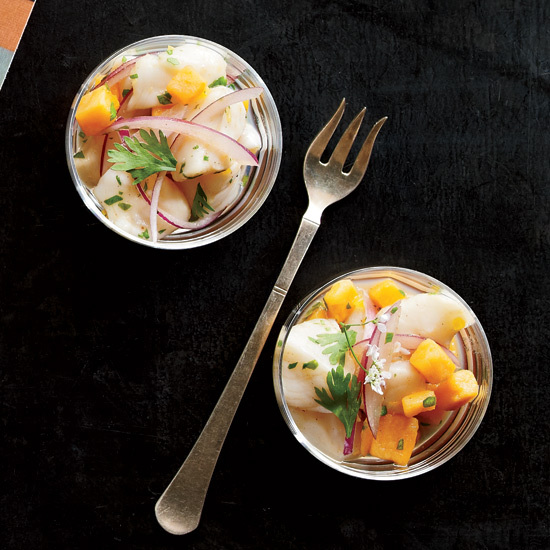 This authentic Peruvian scallop ceviche is made with aji limo paste, a Peruvian ceviche staple made from tiny aji chiles and sweet potatoes. 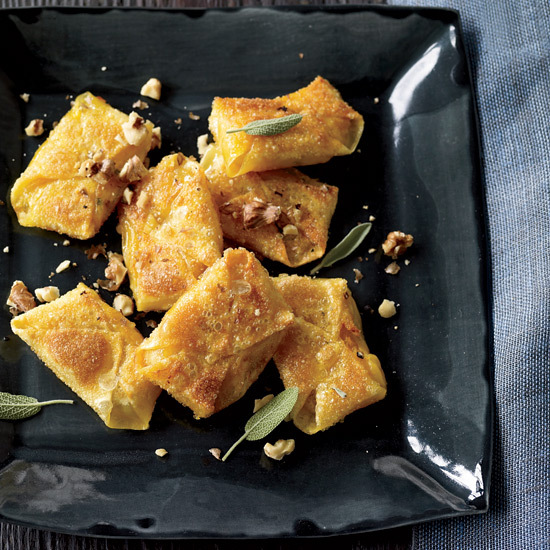 For Alison Attenborough and Jamie Kimm, make-ahead recipes are key for holiday entertaining. The night before the party, Jamie spreads a creamy chive-flecked smoked salmon mixture (based on a béchamel, or white sauce, often used in a classic croque-monsieur) between cocktail-size slices of bread. He cooks the sandwiches right before guests arrive. 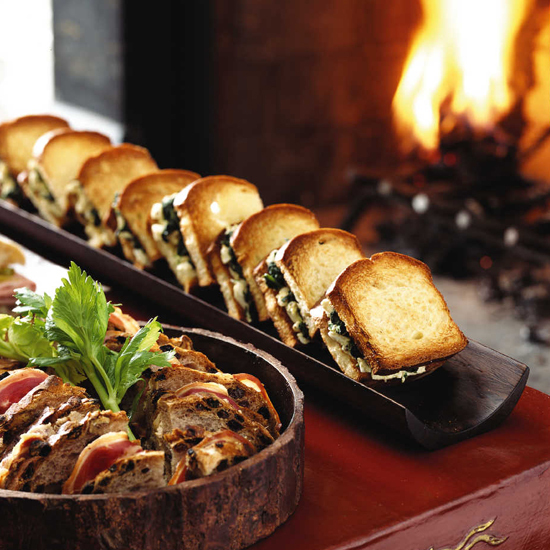 Alison serves the sandwiches with small, disposable wooden forks so guests can keep their hands grease-free. To underscore the rich flavor of dark Sumatra coffee, Bryan Dayton mixes it with aged rum, spicy, saffron-based Strega and molasses-y raw sugar. He even spices up the whipped cream, with bittersweet Italian Averna. 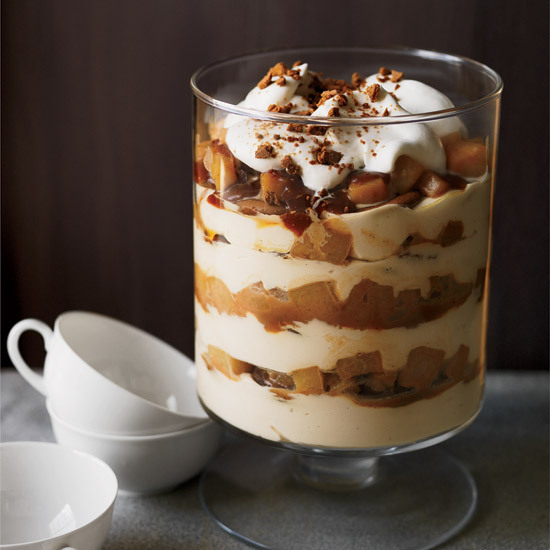 This decadent pear-and-caramel trifle is perfect for a party because it can be made a day ahead and it serves a crowd. "My mom used to make zucchini fritters on the Jewish holidays," says Rachel Klein. Klein's latke version is unexpected and delicious, especially with red pepper jelly and smoked trout. 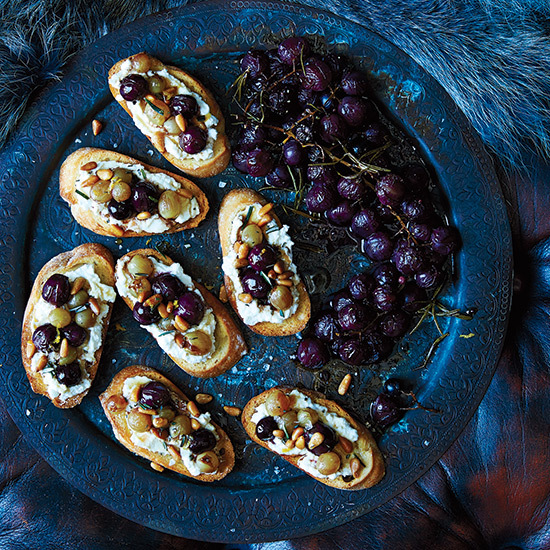 Crispy, sweet and salty, this three-ingredient snack is the ultimate cocktail party hors d'oeuvre. Christopher Elbow of Kansas City's Christopher Elbow Artisanal Chocolates is a Midwestern pioneer. 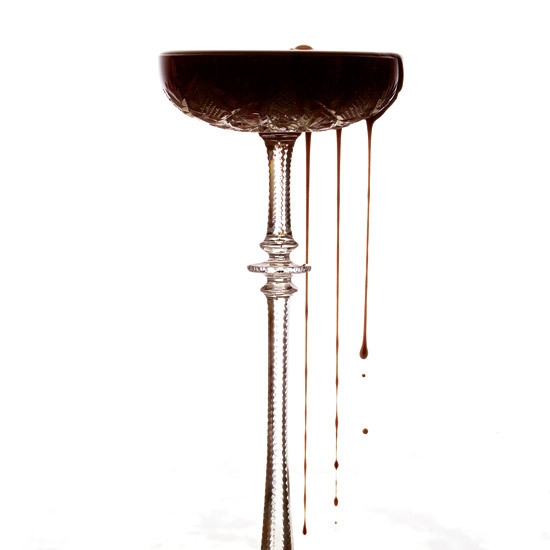 For his first annual employee Christmas party, he mixed up a chocolate-and-whiskey liqueur that's creamy, boozy and delicious—straight up, over ice or even over ice cream. Elbow says, "The consensus at the Christmas party was that if we could get a liquor license, we should sell this at our shop!" 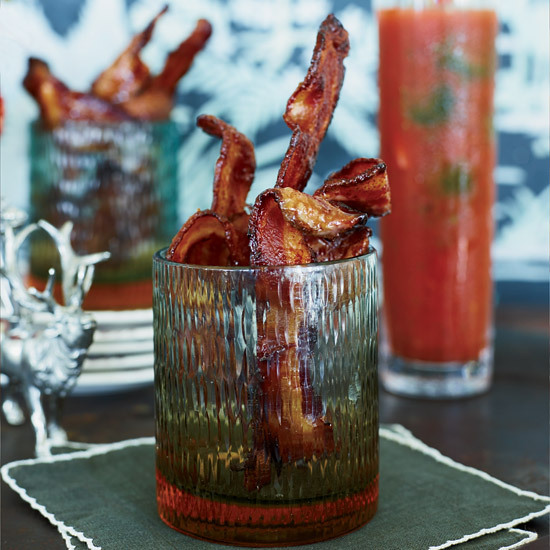 You can also make the recipe with vodka instead of whiskey for a more neutral flavor. 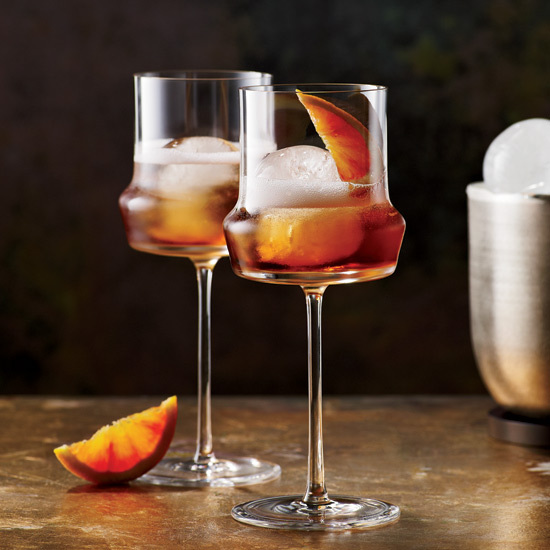 Erick Castro, former bar manager at San Francisco's Rickhouse, created this sparkling punch. It's terrifically light, but the malted grain–based genever adds whiskey-like depth. 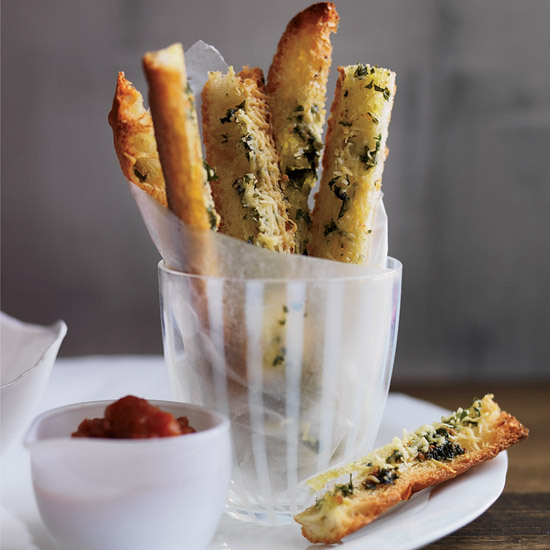 Garlic Bread "Fries" with Marinara "Ketchup"
In this imaginative party snack, addictive garlicky bread sticks and smoky, bacon-laced tomato sauce resemble french fries and ketchup. 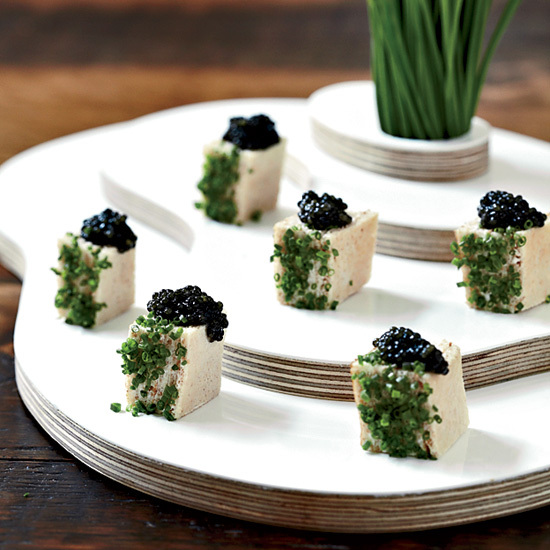 Pinch Food Design chef Bob Spiegel loves to rethink classic combinations, like this architectural take on blini and caviar. This recipe makes more blini than you’ll need, but extras are great with smoked salmon. This riff on the classic martini recipe uses St-Germain elderflower liquor. Because gin has botanical elements, it's a natural pairing. 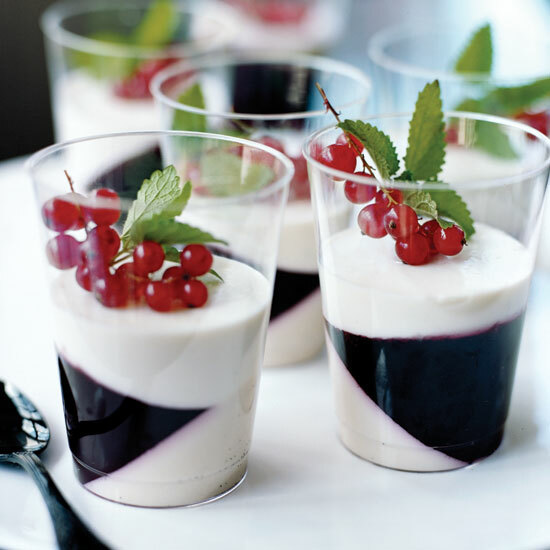 This dessert is made up of two elements—creamy vanilla panna cotta and a clear cranberry jelly. 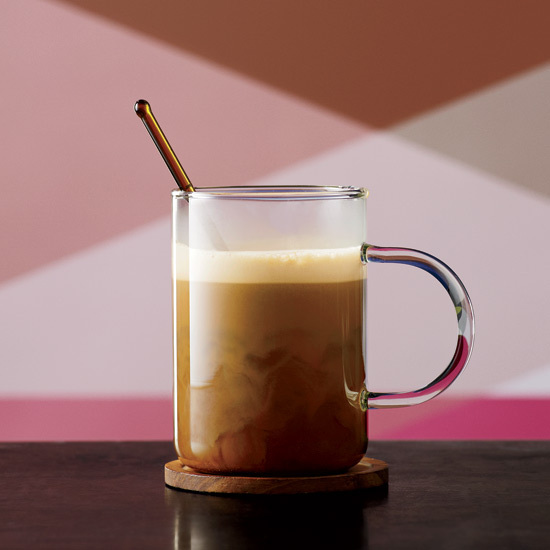 Alison Attenborough created a graphic look by tilting the plastic glasses at a 45-degree angle as the first two layers are poured and allowed to set. 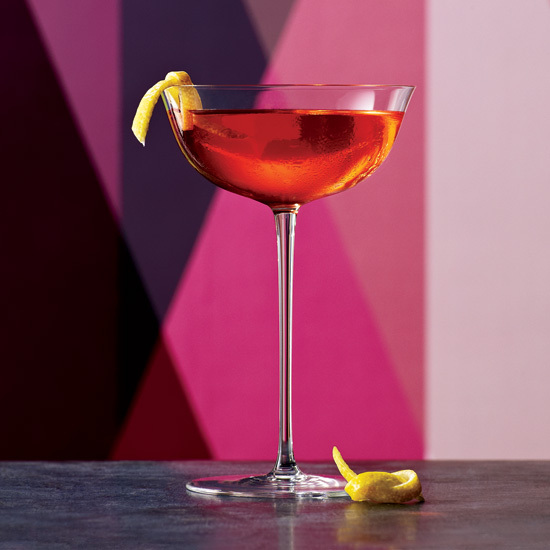 Bittersweet, artichoke-flavored Cynar and citrus bitters stand in for the Aperol in this light, dry cocktail, with rosé Vermouth adding a spicy, floral accent. 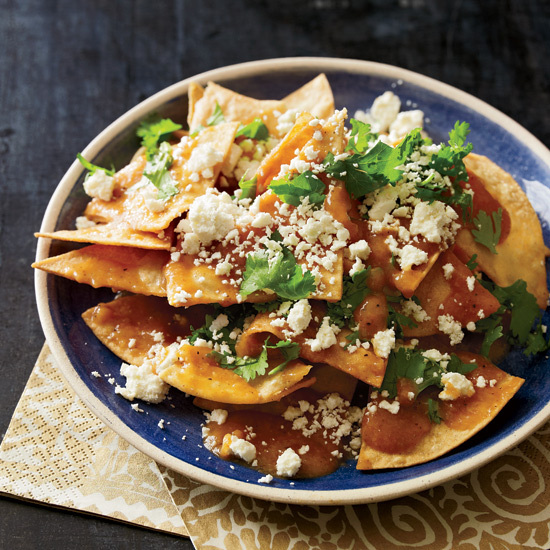 For her version of flavored tortilla chips, Traci Des Jardins tosses just-fried chips with homemade salsa, then sprinkles them with Mexican Cotija cheese.